Shopping for someone else but not sure what to give them? 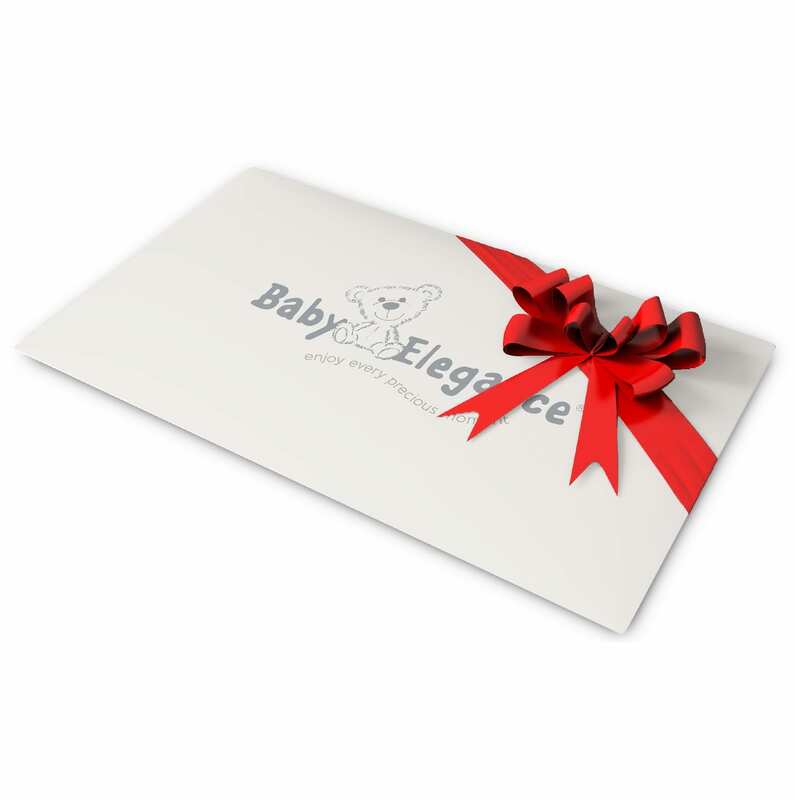 Give them the gift of choice with a Baby Elegance Gift Card. Gift cards are delivered by email and contain instructions to redeem them at checkout. Our gift cards have no additional processing fees. NB: Gift cards can only be used on this website and are not available to use in-store. If you are looking to order a gift voucher for one of our stores please contact them directly and they will be happy to arrange it for you. Gift cards can only be used on this website and are not available to use in-store. If you are looking to order a gift voucher for one of our stores please contact them directly and they will be happy to arrange it for you. Voucher will be sent via email containing the coupon code which can then be used online against your purchase.